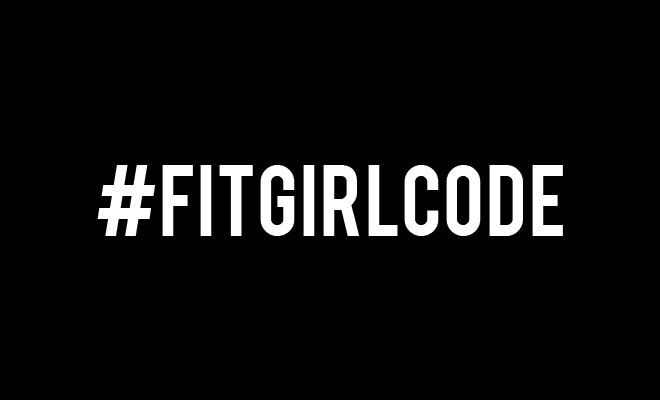 Embracing your imperfections - Fitgirlcode - Community for fit and healthy women. Unlocking your personal code to a healthy lifestyle. Embracing your imperfections can be really tough. For some this is probably a lot harder than for others. I personally believe it’s harder to love your own flaws than those of others. We are our own harshest judge – we tend to be tougher towards ourselves and our own imperfections than those of others. Being able to love yourself enough to accept the way you are is one thing. However, some people take it a step further and they share something personal for the benefit of others. I came across a post on the internet (no surprise there :P) where Rachel Hollis did exactly this. She shared a piece of herself by posting a photo (as seen above) on her Instagram account and it soon went viral. “I have stretch marks and I wear a bikini. I have a belly that’s permanently flabby from carrying three giant babies and I wear a bikini. My belly button is saggy… (which is something I didn’t even know was possible before!) and I wear a bikini. I wear a bikini because I’m proud of this body and every mark on it. It’s such a powerful message, so I really wanted to share it. Rachel looks gorgeous and she’s an example for all Fit Girls out there who need to show some love to themselves and their beautiful imperfections. A comforting thought is that nobody is perfect, we all have our imperfections and this is exactly what makes us humans unique. So dearest Fit Girls, now I’m wondering. What kind of imperfections are you willing to proudly share with us? Now that you’ve read my story, I can’t wait to hear yours! You can post it in the comments below. Well lets see! I have a huge scar on my knee that is purple when cold and white otherwise, from a running accident where I had to be airlifted out by helicopter. You can read the story of that scar and see a photo here: http://cadsandscallywags.blogspot.co.uk/2014/11/update-on-my-greatest-injury.html but be warned there is a blood-soaked image in the post! I also have cellulite; spots on my bum where my leggings sit (#runnersproblems); a natural square shape to the end of my nose; and a mole between my nose and mouth that at random spouts hairs. Hey, its not glam, but its honest! You’re story is amazing. We’re surprisingly similar! I can’t sit still so whenever I injure myself I tend to try and get back at it again way too fast. Last October I had a rib injury and I started running while it was still healing. Because It took way longer too heal because of it! I don’t have pics but I have large patches of thread veins all over my legs which looks like permanent brusing. Every summer when I have to get my legs out I care less and less about them and wether anyone notices them… because it’s too damn hot to wear jeans all day in the summertime! Imelda, you’re living your life to please no one but yourself, it’s your life after all. The people who emphasize on other people’s imperfections rather than a person as a whole are definitely not worth the time of day. And you’re so right, it’s too damn hot to wear jeans all day long during the summer! So flaunt what you’ve got with pride girl! When I was fourteen I got an operation because I had a cyst on my right ovary. It left a scar down from my belly button about 14cm. Next summer on vacation when I wear a bikini I got questions like “where is your baby?” “did you got a cesarean?”. I didnt wear a bikini again for 6 or 7 years. Now i don’t care anymore. It’s part of me. Also i felt to times with my mountainbike. Thereby I have a scar on my chin and one above my elbrow. It’s just me. I’m clumsy, so they are my stripes of clumsiness. Oliebijl, I’m happy you feel comfortable enough in your own skin to not care what other people think. This is exactly what embracing your imperfections is suppose to be like. You accept them as a part of yourself as you grow to love yourself for who you really are. (not all people have bad intentions though when they ask about it, curiosity is a part of human nature). For example, I have a scar on my hand from cutting cheese the wrong way haha! It’s not pretty at all but I laugh about it because every time I see it, it reminds me of my clumsiness. Fit Girls keep on track and look back!